Individuals and families who own more than one home enjoy a number of benefits and face several challenges. Families may consider ownership of multiple properties for different reasons. Some folks prefer to have an extra property closer to family, for professional purposes, for leisure, or as an investment. 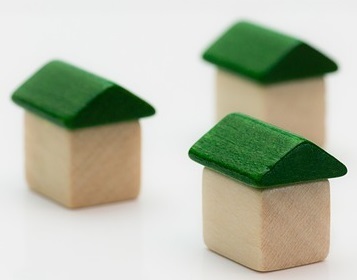 While owning multiple properties may accomplish one or more of these goals, acquiring additional property can cause liability issues, tax complications, and probate concerns. Liability. Premises liability laws in North Carolina and other states impose regulations for property owners (and landlords). In the event a guest or tenant is injured on one’s property, if the property insurance coverage is inadequate or is not properly in place, the owner could be personally liable for damages. The extent of potential personal liability depends both on how the property is titled (covered below) and how the owner titles other property. For example, if a rental property’s deck collapses and injures the tenant, as well as a handful of others who were present on the deck, and the property insurance is insufficient to cover medical and rehabilitation needs for all injured persons, the property owner’s own assets may be at risk of a judgment or lien. Owners should consider how all assets are titled, not just additional properties. A landlord may elect to hold their primary residence and important assets in an LLC or irrevocable trust, which could help to limit liability and shield other assets from judgments and claims. Titling properties. Property owners should review implications of each method of holding title. Choosing a way to hold title should be done with consideration to liability, inheritance, and tax matters. For example, if an individual owns a home and wishes to leave it to their adult son, they might choose to add the son as joint owner of the property. Depending on how this is accomplished, it might be recognized as a gift for tax purposes. Check with a lawyer before amending documents. Our estate planning attorneys also have a post dedicated to holding real estate in your retirement account. Keeping the vacation home in the family. In a similar vein to methods of holding title is the consideration of how the owner wishes to leave the property to their family. Does the owner wish to leave the property to one family member or multiple? The owner can review tools with an attorney that will allow the home to be held in trust for future generations of their family’s use. The trust can be funded to cover costs of property maintenance, tax, and other expenses to alleviate the burden on surviving family. Property rental investment income. Rental investment income could be a lucrative source of funds to supplement retirement, cover college tuition for children, or provide for other needs. However, rental income should prompt careful tax planning. The net investment income tax (with some exceptions) typically applies to rental income. NIIT is a 3.8 percent surtax applied to certain streams of income, dependent on the taxpayer’s gross income. Our attorneys review a few ways one can reduce NIIT. Probate. 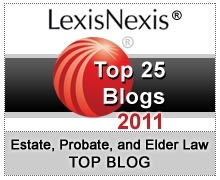 A significant concern for property owners with homes in multiple states is that surviving family members might need to file and open some form of probate in each state where the deceased owner held property. Proper planning can help to prevent this hassle, delay, and expense. Do you own multiple homes or know someone who does? Share this post with them and tag us on Twitter @estateplansnc and like us on Facebook. I recommend that rental properties be owned by Limited Liability Companies to help protect all of your assets. The LLCs can then be owned by your living trust. To set up a trust and the LLCs, work with an estate planning lawyer in your state of residence.